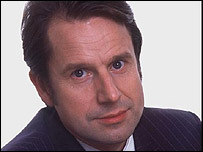 Jeremy Hardy, who worked with Linda Smith on BBC Radio 4 shows such as the News Quiz, pays tribute to the late comic. Linda was diagnosed with ovarian cancer three and a half years ago but she really didn't want people to know. She was a very proud woman and she hated the cancer. It annoyed her because she loved life. She wanted to live. I think she thought that by talking about the cancer she was giving it a platform that she didn't think it deserved. She was a very proud and dignified woman who didn't want to be thought of as a patient or a victim. She battled very bravely right up to the end. She didn't want to go, she had so much life in her. Linda was fantastic to work with. I can honestly say that if you knew she was going to be on the News Quiz, you knew it was going to be great. She'd make you raise your game and if you weren't on form you could just enjoy listening to Linda. The quirky English expressions she used were the most wonderful daft ways the English express themselves. Her mind was extraordinary. She had a record in her mind of everything she'd ever read or every film she'd seen. She could quote you Shakespeare or the Bible. She could quote Martin Scorsese or Billy Wilder films. Linda had the most wonderful, exact terminology. She sort of flirted with the listener in a way. When she started there was a degree of snobbery about her voice. But she won the hearts of the nation and yet she was so savage. She detested things she thought were fraudulent or pompous or vain. She hated Tony Blair and the Iraq war and yet could express it in such a dismissive, disdainful but glorious, articulate way. She lived in Sheffield for many years and I think she acquired a very Yorkshire way of expressing herself. 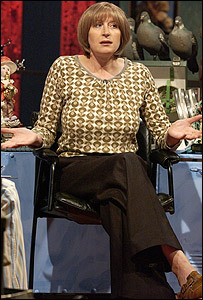 She was our greatest living Englishwoman. She reminds me of Alan Bennett in that wonderful Yorkshire terminology, the exactitude. Her partner Warren Lakin was Jewish and had a great influence on her. She had a very Jewish way of expressing herself in her humour and inflexion. She absorbed everything and then could replay it. Away from the microphone she was still hilarious. Even at the very end, she'd make a very wry joke. Having a cup of tea with Linda, you'd think this is a cup of tea I am going to enjoy. She was always funny but not in a knockabout way, she cared passionately about things and people. She was very loving and very aesthetic. She loved all beautiful things including gardening, theatre and films. She was so funny. She had such a wicked sense of humour. It just came effortlessly. She didn't even try. Humour was just in there, trying to get out all the time. Jeremy Hardy was speaking to BBC Radio 4's PM programme.